Does Netflix’s 'Dark Tourist' avoid being disrespectful of other cultures? Does Netflix’s ‘Dark Tourist’ avoid being disrespectful of other cultures? With such a sordid premise, there’s a lot that could go wrong. Dark Tourist showcases the most macabre of humankind, toeing the line between documentation and disrespect. Does the show get it right? 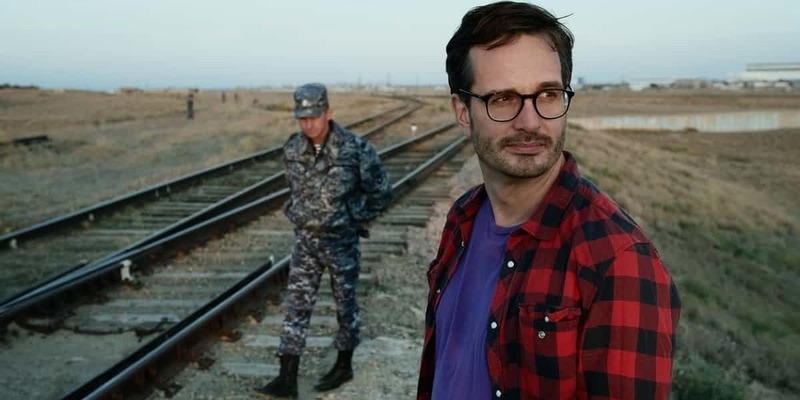 Netflix’s new docu-series, Dark Tourist, stars David Farrier as he travels throughout the world documenting some of the most bizzare, unusual, and sometimes plainly disturbing things that go on in various cultures around the world. With each episode focused on a particular country or continent, David leads us on a thrilling — and often shocking — tour of stuff we could never have imagined. The places David visits are all over the strangeness spectrum: in Benin, he becomes a part of an authentic, violent voodoo ceremony; in the United States, he visits so-called “real-life vampires.” We see tours of President Kennedy’s assassination, and experience chilling dictatorships in isolated countries. It’s a real mix of things that keep you watching non-stop…and it makes you think. When you’re making a show that highlights the most taboo things in the world, it’s really, really hard to not be disrespectful, especially when the host is a white man from New Zealand, coming into the situation with a Western perspective. The audience for this Netflix show is also unlikely to be full of anthropology scholars, watching with objective eyes or the sincere desire to get to know the complexity of humankind — they’re probably drawn by the shock value, and a little morbid curiosity. And rightfully so: the show is marketed as exactly that. So is Dark Tourist just the same kind of uncomfortable mockery we’ve often seen in shows that deal with cultures that don’t usually grace our screens? Surprisingly, no. 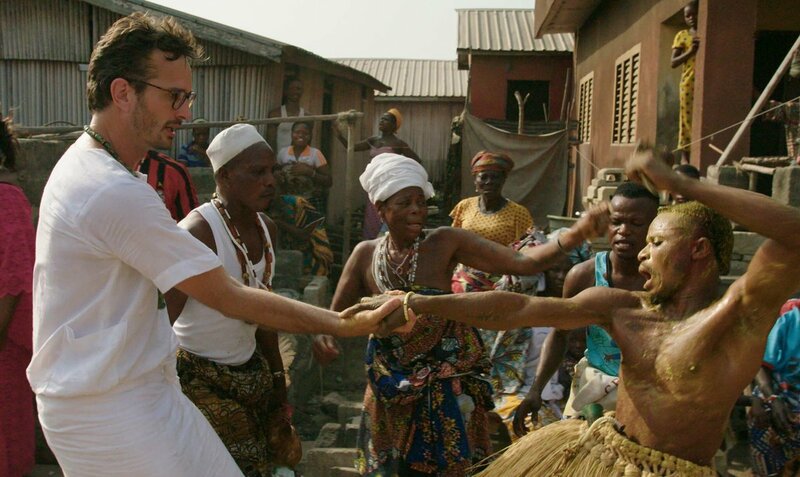 While there might be a point in saying that the fascination with taboo, or giving any screen time to the schemes that profit from human tragedy that are featured, is callous and inconsiderate, Dark Tourist, at its core, has more profound intentions than just shock value. David goes into every situation with a wonderfully open mind — reminiscent of Anthony Bourdain’s attitude with cultures he’s unfamiliar with — no matter how strange the circumstances. His questions are sincere, and never impolite or trying to lead the person being interviewed to an uncomfortable place; he’s there as a spectator, with all the attitude of a student. And he also makes sure that the voices of the locals are heard. From the same dark tourists that accompany him, to the local tour guides that know much more than any of them (not only professional tour guides, but also village elders, local entrepreneurs, matriarchs, and more), David gives everyone a chance to speak and be heard: not only responding to questions, but even offering up tidbits of their own experience, and their own beliefs. It helps give the viewer a much more well-rounded understanding of what they’re looking at, and helps highlight the principles and motivations underlying every event David witnesses. In a genre where we’re used to seeing the white man swoop in to act as if he knows more about the reality of a distant society he’s only just stepped into, David is an example of how we should all try to act when confronted with the unfamiliar. A posture of learning always leads us to better understanding, and the conclusions to many of David’s visits are appreciative. Even in the strangest customs, rituals, or tours, there can be found a grain of humanity that is beautiful or even insightful. Though we’re drawn to dark tourism by what happens, it’s why it happens that’s the most interesting part…and it often makes us realize that humans are much less different from each other than we think. That’s not to say that everything David looks at is worth appreciating: there’s a lot he sees that is also genuinely horrible, often rooted in principles that are themselves racist or dangerous. Sometimes, while the tourist attraction itself isn’t necessarily horrible, the attitudes of the people David follows are, and ignoring that would also be wrong. That’s where Dark Tourist gets particularly interesting. Especially when dealing with organized crime or white supremacist groups, David pulls off the rather incredible feat of staying polite and documenting everything, while also showcasing just how twisted or contradicting the values of the people he’s meeting are. It’s a very difficult line to tread, but David’s politeness is never approval, and both the camera and his comments are sure to point out what is downright bad. Sometimes, he doesn’t even have to say anything: the camera and the silence speak for themselves. It makes for a surprisingly thoughtful viewing experience. 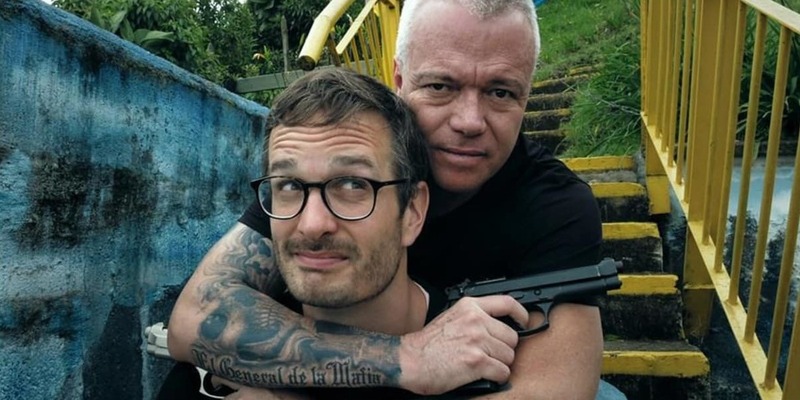 Dark Tourist may not be perfect — you’ll still find a lot of disparaging articles about it out there — but for its genre and its audience, it’s a powerful opening to begin to empathize with other cultures, and understand a little more about human nature. It’s authentic, and it does its best to be respectful, and that’s worth recognizing.